Hello! We've moved to www.MeganLenius.com Read the message from Megan Below to find out why! ​Hello, the last year has been crazy, and I'm incredibly grateful for everything that has happened in 2016. But 2017 brings a new journey! Last Friday I left for California! I signed with AEFH out of LA for acting, and I will be living in LA for pilot season! As well as working with AEFH, I will also be working with my entertainment company Indasoul Entertainment on my upcoming CD Release that will be released on March 1st! I am extremely excited for this journey, and what the new year brings for me! 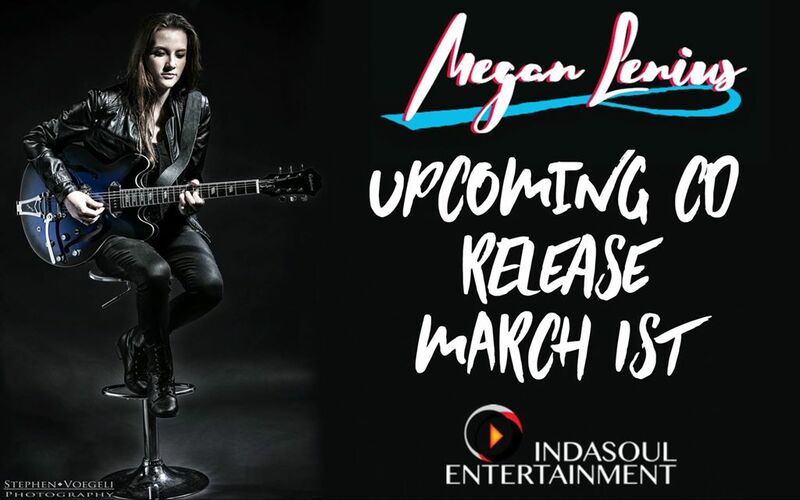 As well as working towards my CD release, by request of my team, I will also start going by my real name Megan Lenius for all things regarding my music and acting. I will slowly be changing my social medias, and websites to Megan Lenius instead of Megan Elizabeth, so keep an eye out for those changes! I am truly so grateful for all of the support by everyone around me. Im not one to forget those who have supported me, and I want to thank each and every person who has supported me in any way. Whether it be as simple as buying my CD or sharing my video. Or as big as being by my side throughout everything. I am truly so thankful for every single one of you! By the wise words of Jim Carrey, "You can spend your whole life imagining ghosts, worrying about your pathway to the future, but all there will ever be is what’s happening here, and the decisions we make in this moment, which are based in either love or fear. So many of us choose our path out of fear disguised as practicality. What we really want seems impossibly out of reach and ridiculous to expect, so we never dare to ask the universe for it. I’m saying, I’m the proof that you can ask the universe for it... It’s just about letting the universe know what you want and working toward it while letting go of how it might come to pass... Life doesn’t happen to you, it happens for you. I really don’t know if that’s true. I’m just making a conscious choice to perceive challenges as something beneficial so that I can deal with them in the most productive way... Take a chance on faith — not religion, but faith. Not hope, but faith. I don’t believe in hope. Hope is a beggar. Hope walks through the fire. Faith leaps over it." Thank you to everyone, I am truly so grateful. Life isn't about making decisions over the fear of failure, and Ive never been a person to do so. Thank you to everyone who has been there, I am extremely excited to see where life brings me!